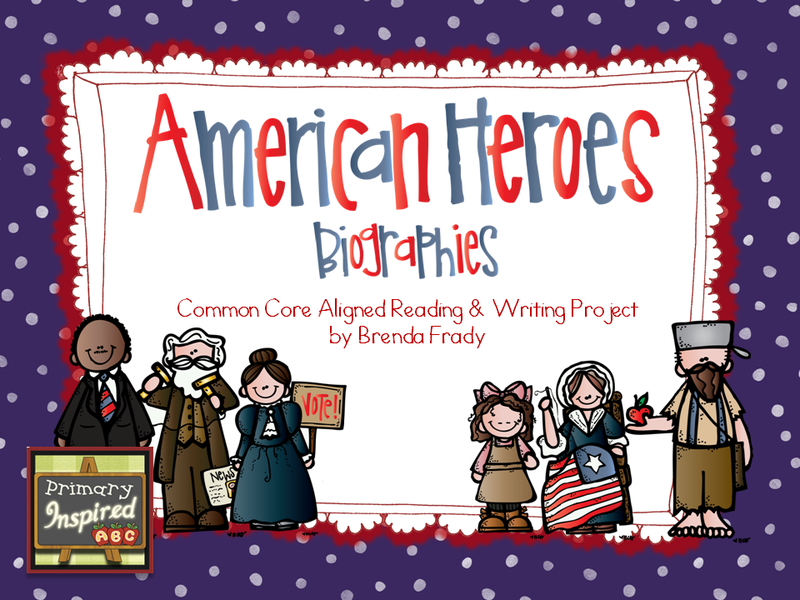 Primary Inspired: American Heroes Unit - Proofers Needed! American Heroes Unit - Proofers Needed! I am working on updating my American Heroes unit. This Common Core Aligned unit, guides primary students through the steps of developing their own research reports on a famous American: from reading biographies and collecting information on notecards to creating a "pocket person" to illustrate their report and serve as a visual aide for an oral report. I've been working hard on updating it today and I'd LOVE to have a couple people proof it for me! Just comment below with your email if you're willing to help! I'll send it to the first three people. I would love to proof it for you! Thanks, ladies! It's in your in box! I just missed it! Looks like a fun research unit!